Heads up fellow bag packers! 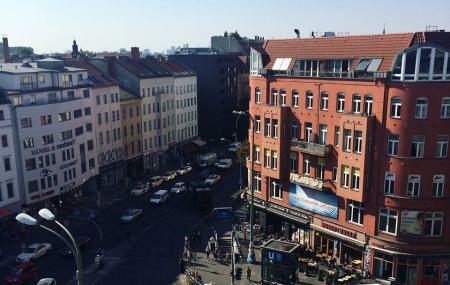 Stop your search for accommodation in Berlin, because The Circus Hostel is here to offer you the best experience ever! Located right in the heart of the city, easy access to all the tourist attractions is guaranteed. And if you’re tired after an extensive tour, you can spend a relaxing day here enjoying their in-house beer. And what’s more, they also have a bar and café for their guests. With the most comfortable, vibrant rooms and beds to the most authentic and delicious traditional food, this place will give you great memories and experiences. You can also enjoy their free breakfast buffet and WiFi. And while there, if there are any events and concerts organized, do make it a point to attend one of those. Enjoy! Charges per day will depend on the type of accommodation that is chosen. How popular is The Circus Hostel? People normally also visit Humboldt Box while planning their trip to The Circus Hostel. Expect a very comfortable stay with an impeccable service.The staff here is so helpful and efficient. The hostel is designed so well and everything is seamless. Location of the hostel is also well connected. Expect crazy good value for money. I just wished there were more branches of Circus hostel outside of Germany . The hostel was very nice, the staff was welcoming and focused on making your stay perfect. The place is super clean and well organized. The atmosphere and theme of the hostel is great, which is a bonus. Stylish, clean, affordable hostel with great service. Free beer brewed by themselves if you book directly. I was able to check in in the morning before normal check in time without extra charge. Centre location. Arguably the best hostel ever. This hotel is really nice. Clean, nice, good price. I have been also in the Hotel and in appartment during my two weeks here, and everything is perfect. Congratulations!